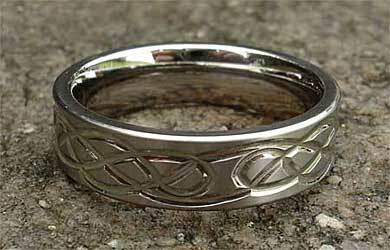 Celtic Titanium Ring : LOVE2HAVE in the UK! A flat profile titanium ring with designer Celtic detail. 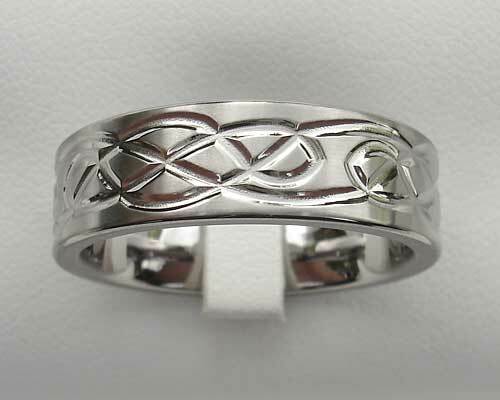 The Celtic pattern is engraved quite deeply into the outer of this ring, and we would class it as quite bold in a design sense. It measures 7mm wide and comes in a satin finish. 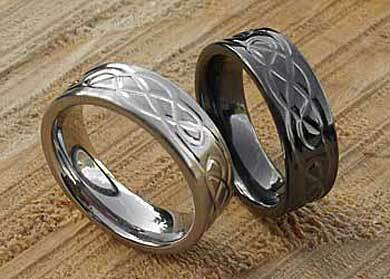 When we first started our website back in 2004, this was one of the very first Celtic titanium rings we featured, and it immediately became the most popular seller for men and women with its simplistic laser engraved design. It remains so to this day and is still superb value for money. We also make this ring in zirconium and pictured below is the all black zirconium version sat next to the titanium that is also available on our website.